JulieAnn is a born and raised Alaskan girl but making Idaho her home for the past 30 yrs. She is a former student and State/National Certified Phlebotomist. Starting her career in the medical field with PTS was only the beginning for this lady. 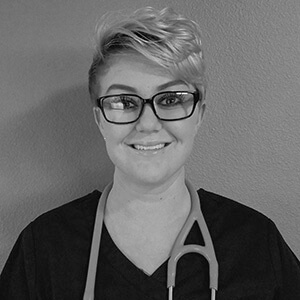 After her dedicated time as a volunteer for The American Red Cross of Idaho, she put her newly acquired skills to work at a Gastroenterology center, only to add Medical Assisting to her qualifications. Currently a Health Care Wellness Coordinator, serving several large companies including BSU, Scentsy, The City of Boise and The Boise School District to name a few in Idaho and Utah areas. JulieAnn also went on to working in the field of ultrasound fat loss and PRP work with dentistry and collagen regrowth. She has an extensive working relationships with several blood labs in the surrounding area. 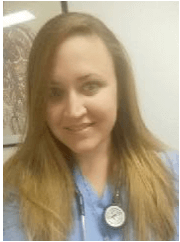 Her personal connections with the American Red Cross of Idaho and the VA Hospital help students wanting to advance in their new found skills after graduation from PTS of Idaho. JulieAnn has a true passion for teaching the “Art of Phlebotomy” that has brought her back to our classroom as an instructor. She prides herself for successfully helping many students reach their goals within the health care industry. She realizes for many this is not only a step for personally growth but in their professional career development. She works continuously to customize a teaching style to help each individual succeed. JulieAnn knows of the many directions that skilled phlebotomy can take you and helps her student to be informed of all the opportunities available to them. Crystal has an AS in Biology, having majored with an Emphasis in Healthcare. She has been a certified Phlebotomist for many years as well as holding a MA certificate. Crystal currently works in one of the major hospitals in Canyon County, counting down the months when she will begin the process of becoming a Registered Nurse. Crystal has been teaching with PTS for a few years now and brings extensive experience, skill, and a positive attitude to our program. She loves teaching, and goes above and beyond for her students and their success. 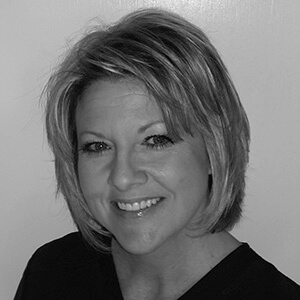 Candace Freeman has worked in the medical field for 18 years. She started out as a Certified Nursing Assistant, continuing on to become an Advanced Emergency Medical Technician (AEMT). Other accomplishments include becoming a State and National Registered Phlebotomist as well as EKG certified. Candace teaches phlebotomy class and is a secondary EKG and IV instructor and also works in the field. She enjoys donating her time and expertise to a variety of organizations including Justin Sports Medicine, St. Lukes Sports Medicine, and the Meridian Lions organization. Candace has 3 amazing children and loves living in the great state of Idaho.